Everyone knew it would be good, but hosting the latest Yacht Racing Forum in Lorient, France – world capital of offshore sailing – was indeed a stroke of genius. Sailing history oozes out of Lorient, where Eric Tabarly is feted as a hero of French sailing, alongside living legends such as Franck Cammas, Michel Desjoyeaux, Loick Peyron and Alain Gautier, many of whom were present at the Yacht Racing Forum. 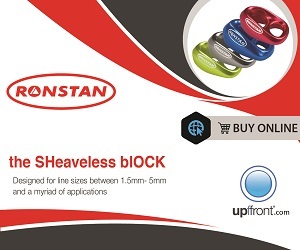 The conference brought together no less than 450 delegates, while the exhibition space included around 20 stands representing the most dynamic brands from around the world that are involved in competitive sailing. Three state-of-the-art yachts were also on display: the new Figaro Bénéteau 3, the 26ft one-design foiling catamaran Easy to Fly and the Volvo Ocean 65 AkzoNobel. Technology trickledown was a big part of the discussion, with experts from some of the world’s most successful boatbuilders and sailmakers explaining the application of America’s Cup, Volvo Ocean Race, Class Ultime and other cutting-edge Grand Priz innovations to the rest of the sailing scene. 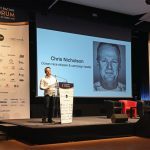 Main picture: in his keynote speech at the Yacht Racing Forum, the Volvo Ocean Race and Olympic veteran Chris Nicholson called upon World Sailing to embrace innovation. He also praised the vibrant and healthy professional racing scene in France and urged delegates to support Paralympic sailing as it battles to get back into the Paralympics. The Design and Technology Symposium grew yet again from the previous year, with interest overflowing the room capacity of 150 people in one space. This popularity was due in a large part to the location of the event this year in Lorient, the heart of French offshore racing technology, but it also reflects the widespread appreciation for advances in all aspects of sailing yacht technology, coupled with strong interest in where technology is driving and the parameters that are driving it within the America’s Cup, Vendée Globe, Volvo Ocean Race and other elite racing events. 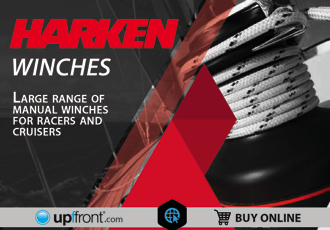 The topics covered included yacht and foil design, sensing technologies and performance analyses, modern film-less sailmaking, advances in standing rigging and composite materials, new fabrication and sustainability technologies. Networking and the opportunity to rub shoulders with some of the sport’s big decision-makers is another reason for large numbers attending the two-day Forum. The high point of the social calendar was the gala evening reception provided by North Sails and Bretagne Sailing Valley, at the spectacular waterside Cité de la Voile Eric Tabarly – an interactive museum entirely dedicated to sailing and yacht racing, unique in the world. 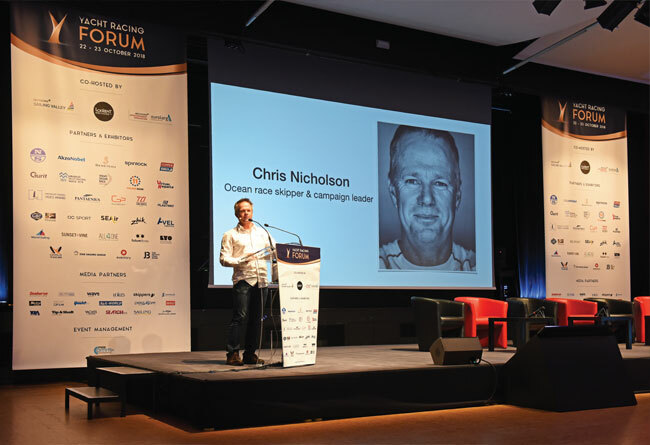 The double Olympian and six-time Volvo Ocean Race veteran Chris Nicholson used his keynote speech to call on World Sailing to embrace innovation, and for the rest of the world to take notice of the vibrant and healthy professional racing scene in France. Nicholson also stressed the importance of supporting the Paralympic movement, deeply regretting the decisions taken recently. 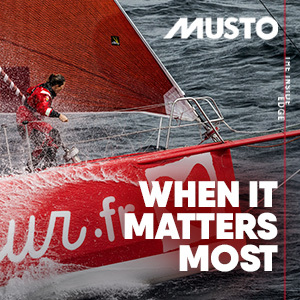 Charles Caudrelier, winning skipper of the Volvo Ocean Race and Bruno Dubois, former team manager of Dongfeng Race Team, explained the strength of the French system and laid out a blueprint that other countries could follow to emulate its success. 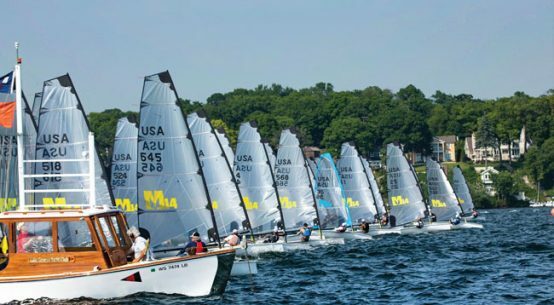 Whilst several sessions focused on the high end of the sport, this year’s Forum also gave a large amount of space to youth sailing, dynamic classes and events for kids and youngsters. 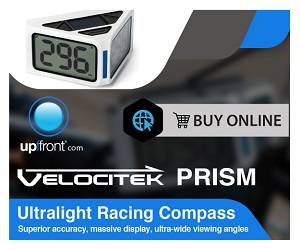 However, the conferences devoted to the tremendous technological developments that our sport has enjoyed in recent years, as well as to elite sport, the America’s Cup, the Ultimate and Imoca classes, Figaro Bénéteau 3 or the future of the Volvo Ocean race, were the most popular among the delegates. 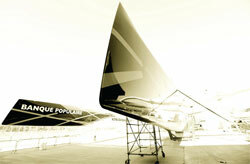 Another area of interest was the fully crewed round-the-world race formerly known as the Volvo Ocean Race. It generated some heated debates, with speakers arguing whether the switch to the Imoca class would still allow female participation, give space to onboard reporters, and provide platforms that are usable by full crews and singlehanded sailors alike. While there were inevitably a lot of questions about the cost of a campaign, Mason reminded people of the value, too. ‘We had a million people live watching the tracker as the Volvo fleet was sailing across the top of Scotland. There’s no other sport that can do that. We need to remember what we’re worth as well as thinking about limiting costs.’ Mason also confirmed that the race’s new title partner would be announced in the ‘coming months’. 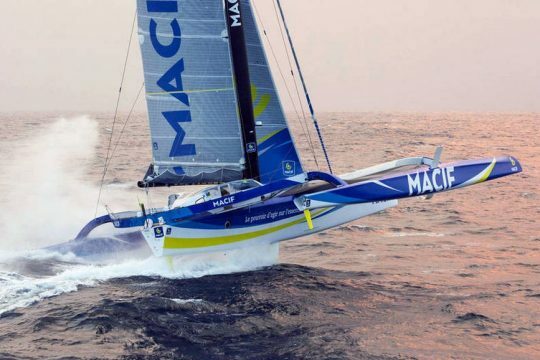 Armel Le Cléac’h’s awesome but ill-fated 100ft Ultim class foiling trimaran, which had the theoretical potential of sailing around the world in well under 40 days, was a focus of discussions at the Yacht Racing Forum. 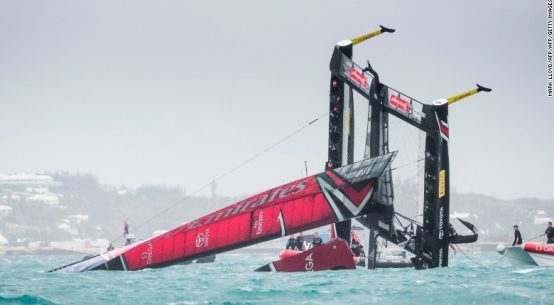 Held just two weeks before the start of the Route du Rhum – during which Le Cléac’h capsized and had to be rescued as his boat broke up – the Forum attracted many of the race’s key competitors, including Le Cléac’h, Loïck Peyron and Sam Davies. The continuing success of the ‘more’ accessible Class40 was also high on the agenda, proponents hailing it as the only international offshore class where amateurs can still compete against the world’s best professional sailors. The Yacht Racing Forum took place two weeks prior to the start of the Route du Rhum, and reassembled some of that race’s key competitors including Armel Le Cleac’h, Loïck Peyron, Samantha Davies and many more. Since winning the Vendée Globe Race last year, Le Cléac’h has moved out of monohulls and on to his breathtakingly quick 100ft Ultime class trimaran, Banque Populaire. ‘Yes, the boat is capable of almost 50 knots peak speed, but I am interested in high average speed,’ said the French hero. He was looking forward to the Route du Rhum, but confessed that he was mainly looking forward to the solo round-the-world race in Ultimes, a race called Brest Oceans that is scheduled to start on December 29, 2019. 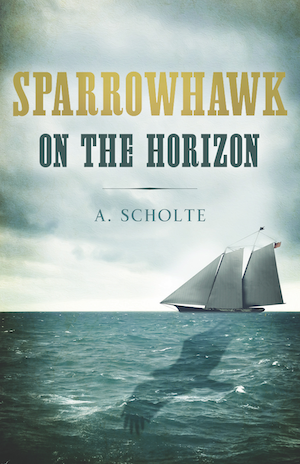 ‘The idea of sailing around the world in around 40 days, singlehanded, is a fantastic dream,’ he added. Inshore racing was also well represented, thanks in particular to the presentation of a new event that promises to be very successful: the Star Sailors Nations Gold Cup, a new World Championship of Nations. 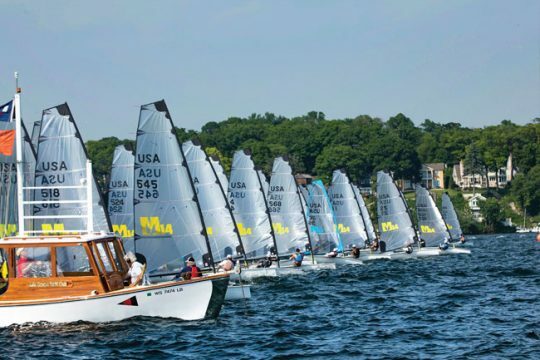 Its promoters announced that their event, fully funded, will bring together 40 teams from 40 nations to compete in a keelboat class measuring somewhere between 45ft and 50ft long. 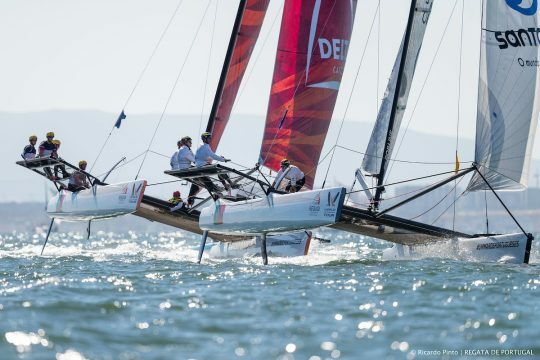 The 1996 Olympic Champion in the Finn class, Mateusz Kusnierewicz from Poland, presented the new concept and revealed that Robert Scheidt and Torben Grael were already organising Brazil’s entry into the event. Two prestigious award ceremonies were held during the Forum: the Mirabaud Sailing Video Award and the Mirabaud Yacht Racing Image award, designed to reward the world’s best sailing photographers, directors and TV producers. For its second edition, the competition brought together 28 videos, which were viewed online more than 350,000 times. English producer Rob Dickinson (Orillo Films) was crowned the overall winner of the Mirabaud Sailing Video Award thanks to a film recounting Team AkzoNobel’s journey in the Volvo Ocean Race 2017-18. 109 photographers from 25 countries took part in the ninth edition of the Mirabaud Yacht Racing Image photo competition. Ricardo Pinto (POR) won the main prize, while Eloi Stichelbaut (FRA) won the Yacht Racing Forum award and Török Brigi (HUN) the public award, based on the number of votes online. The 11th edition of the Yacht Racing Forum will take place on 25- 26 November 2019 in Bilbao, Spain. 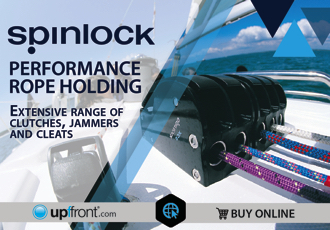 Click here for more information on the 2019 Yacht Racing Forum.